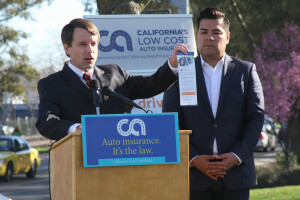 California Insurance Commissioner Dan Jones’ presentation on steering and labor rates has been postponed until April, his press office said. Details on what exactly was going to be discussed was unclear, but regulation is possible, according to the agency. The meeting was originally scheduled from 1-3 p.m. Friday in Los Angeles. It will now be held in early April, likely April 2, according to press secretary Nancy Kincaid. Another public presentation was expected sometime after that in Sacramento.